Maße des Anhängers: ca. 6,2 x 5,2 cm. Signiert "M.GERARD MADE IN FRANCE". Beiliegend zwei Gemstone Reports der American Gemological Laboratories, Nr. CS83470 A und B, vom 9.06.2014. Necklace length: ca. 43.5 cm. Pendant dimensions: ca. 6.2 x 5.2 cm. Total weight: ca. 69 g.
Signed "M.GERARD MADE IN FRANCE". 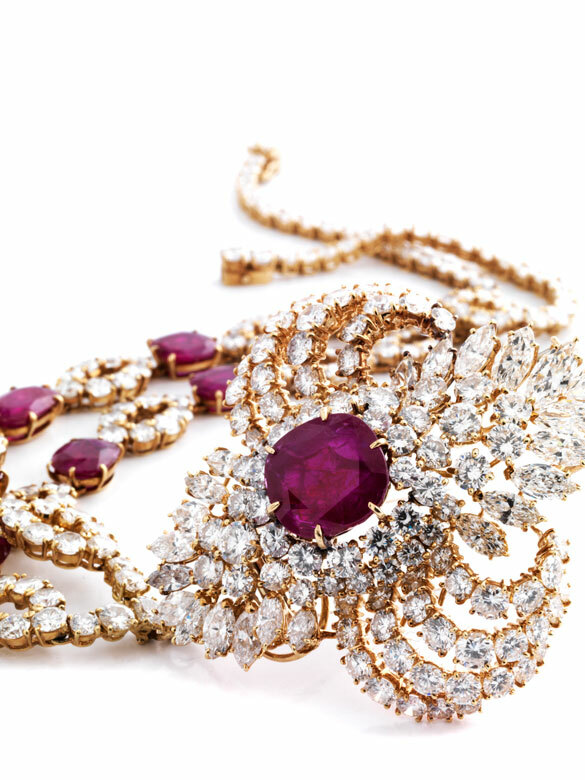 Accompanied by two gemstone reports of the American Gemmological Laboratories, no. CS83470 A and B, dated 9 June 2014. 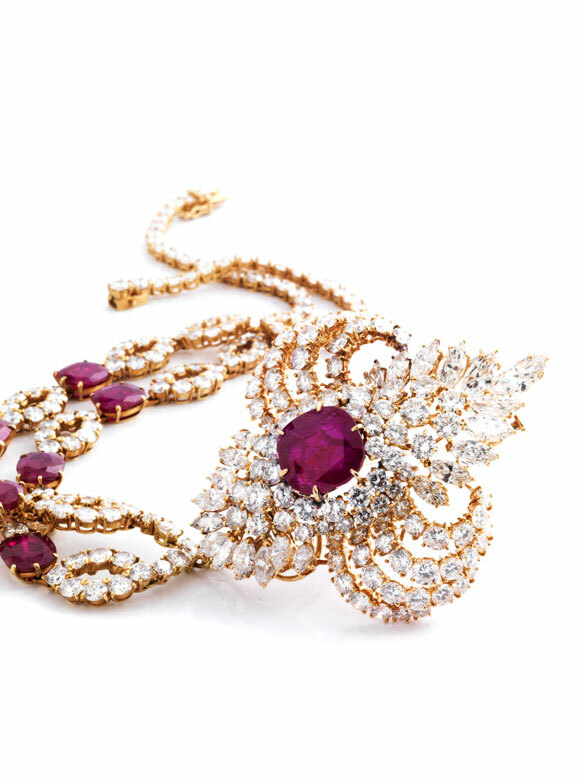 High-quality, sumptuous necklace with brooch pendant studded with select brilliant- and marquise-cut diamonds, in total ca. 33 cts. 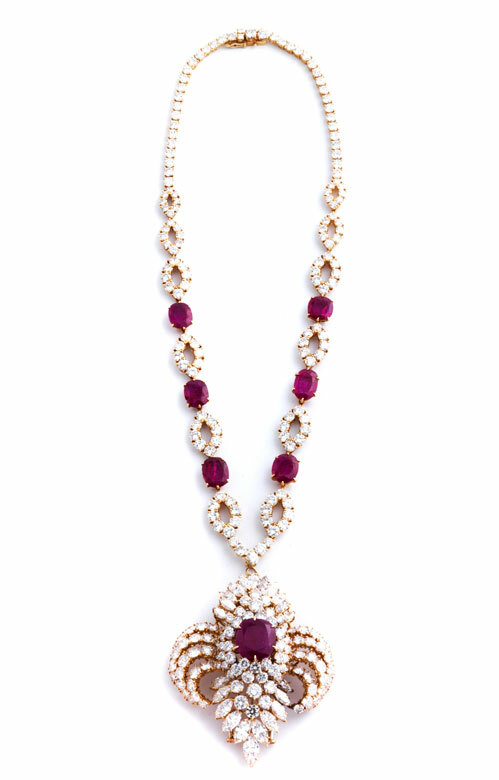 The necklace's six natural rubies vary in cutting style (oval- to cushion-cut), in total ca. 12 cts, according to the gemstone reports there is no evidence of heating. 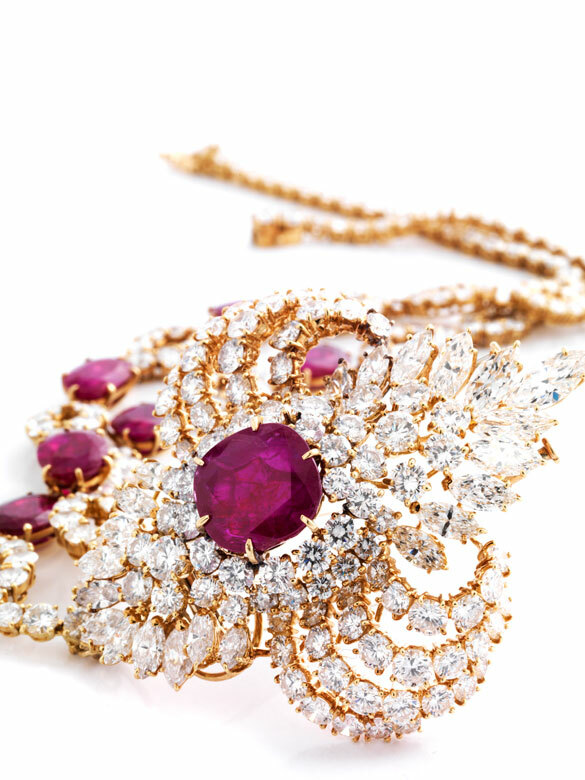 Just as there is no evidence for the pendant's central, cushion-cut ruby, ca. 7.6 cts. 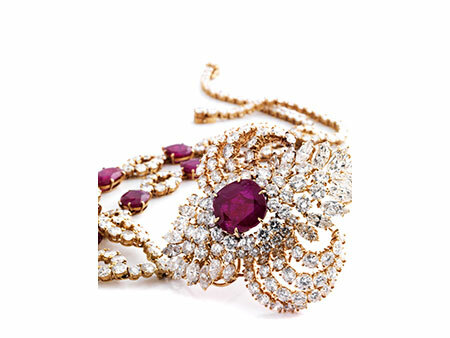 Necklace and pendant can be worn separately due to a special mounting; the pendant can also be worn as a brooch due to a clip closure with double pin.